Ann Gonzales speaking at Chambers on Course on behalf of the Carolinas Asian-American Chamber of Commerce and the Charlotte LGBT Chamber of Commerce. 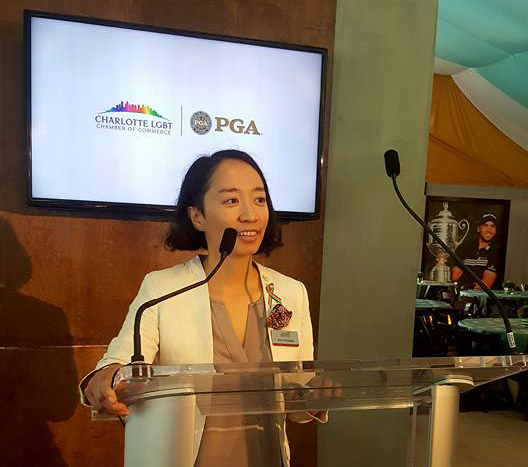 The Chambers on Course at the 2017 PGA Championship event was hosted by PGA American at the Quail Hollow Golf Club during the 2017 PGA Championship. The event symbolized the unity of Charlotte’s LGBT, Latin-American, Asian-American, and African-American minority chambers with representatives speaking from each chamber. 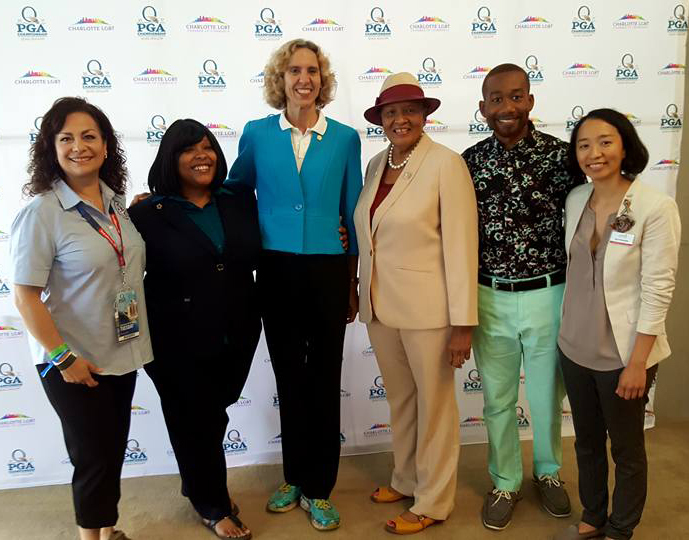 In addition, the Chambers on Course event was a way for PGA of America to display it’s progressive initiative–that the game of golf is for everyone–no matter of race, gender or sexual orientation.